Enformable Editor’s Note – In our ongoing effort to highlight critical issues, we invited Mr. Walters to share this important article with our readers, and he graciously accepted. If you have an article that you would like to submit, you may always contact us using the contact link in the menu and share your submission with us. Vis-a-vis the recent news that the San Onofre Nuclear Power Station (SONGS for short) is going to start up again with new steam generators, much attention has focused on these two reactors that provide 2000MWs of low carbon energy for San Diego and the counties north of San Diego to the L.A. border. But nevertheless, many have wondered about the future of, and reliability of, these two reactors. The first line of independent safety investigation are those whose live really do depend on the industry being safer, or at least safer than anything in the competition. There is virtually no dispute that the health and safety of nuclear power plant workers is paramount. They, not the stock holders of, or the rate payers for, these utilities, are at risk whenever anything goes wrong generally. There are two levels of safety as an issue: general industrial safety of any power plant worker concerning hazardous materials (solvents for cleaning, lubrication oils that are extremely toxic, vapors, fiber glass, etc etc), the hazard of lots of heavy mechanical equipment (cranes, fork lifts, machines like lathes and drills) and the danger of high voltage electrocution, from a 110V outlet used for lighting up to the 20,000v terminal voltage of the generator. 99% of all injuries in power plants result from these and things like hearing loss due to sounds and similar, yet very common, safety issues. If a plant is unionized (and currently the expansion of gas turbines has often staffed by non-union personnel) union safety committees exist to enforce and report to the management safety violations that can cause both individual worker health hazards to issues concerning the outlying or nearby community. I was on several of these union safety committeesduring my 20 years at PG&E‘s Portero Power Plant.They can be highly effective and, when management gets the upper hand in negotiations or, is able to smash the union, it’s usually the first thing that goes. Utilities by and large do not like any entity not controlled by the business to look inside or under the dirty linen of their plants. This is as true for public power utilities as private investor owned utilities as anything that gets found, and has to be corrected, is usually blamed on the frontline and plant supervision by the utility bureaucracy up the chain of command. The other area, with regards to nuclear, is of course radiation safety. Each plant has a whole dept. dedicated to the safe running of the plant, per NRC regulations, and run by health and safety radiation engineers and operators. There are special laws dedicated to insuring, on a state by state basis, the rights of whistle blowers to go outside even the independent union safety structures to complain when safety issues are not addressed. The protection of these whistle blowers is paramount for the safe running of these plants. Not just at the level of union members who do the front line technical, mechanical and operational work at a nuclear power plant, but at the mid-level engineering and accounting divisions as well where safety issues as an aggregate of other issues can be spotted such as, the failure to fill out hazardous waste forms, a consistency in certain parts failing, and so on. The history of abuse in the nuclear industry (very broadly defined here such as fuel fabrication, component manufacturing, special fuel outage crewing and repair, etc) is established. The most famous, of course, was OCAW (Oil Chemcial and Atomic Workers) union organizer Karen Silkwood. She died, and many, including myself, think she was murdered, by her employer, the now bankrupt fuel fabricator Kerr McGee. There have, over decades, been many “nuclear whistle-blower”, some of whom are listed here. Whistle-blower are important because knowing that their own work force could turn them into the authorities (OSHA, NRC, etc) or, worse, the news media, keeps nuclear plant management and boards of directors on their toes. Thus preserving these laws that protect them, and extending and enforcing them, is of concern not only union members and the labor movement specifically, but all employees of nuclear companies and the general public. Recently there was an article in the KPBS web site that talks about and publicizes the case of a SONGS employees who wants such protection. But because all these laws are under state, not federal authority and the plant sits on Federal land, the whistle-blower in question is not covered. This needs to be changed. 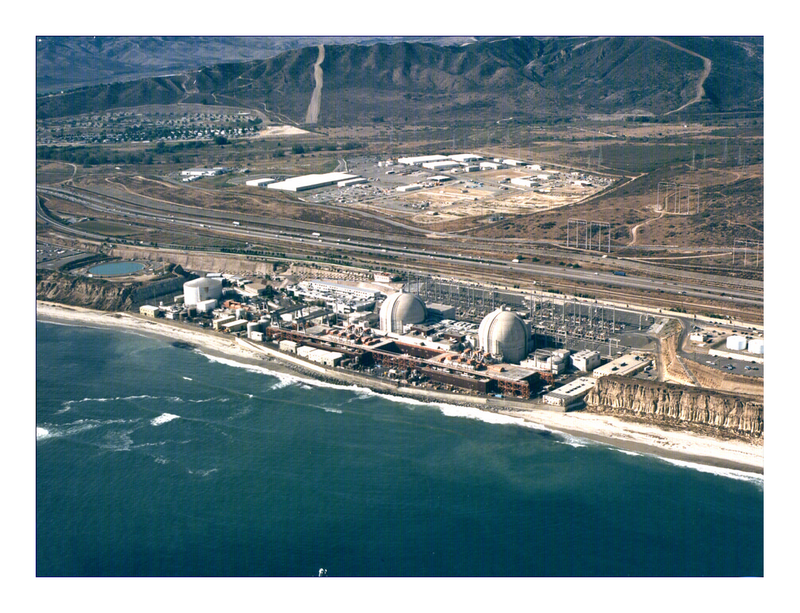 “But in 2010, the Nuclear Regulatory Commission revealed that some San Onofre employees had told regulators they did not feel free to report safety concerns for fear of retaliation. What’s more, the NRC said that the plant had 10 times the industry median of complaints from workers“That’s a huge problem for everyone in Southern California,” said attorney Maria Severson, who represents former San Onofre employee Paul Diaz. He said he was fired in 2010 after he came forward to his managers with safety concerns. 1. it erodes as the article notes the confidence of employees to come forward. 2. it erodes public confidence in the technology due to the clear lack of protected transparency. 3. it endangers the work force and, potentially, the general public. Some whistle-blowers only come forward after they have been fired. Others get fired or quit and then become professional anti-nuclear activists (the well know nuclear celebrity Arnie Gunderson is one). But over all, whistle blower protection is critical for having the most professional workforce, union or not, running these power plants. I should end by pointing out that nuclear energy represents the proven safest form of energy in the United States today. The general health levels of nuclear plant workers is second to none, with a health risk no more or less than others in heavy industry but better than workers in fossil fuel industries. It has also been the safest to the public at large despite propaganda to the contrary. Nevertheless to maintain this means a general strengthening of these laws mentioned above and an increase in unionization at those nuclear plants that are non-union.